The Aspire 3935-6504 is equipped with Intel Core 2 Duo Processor technology, Intel Graphics Media Accelerator 4500MHD graphics, up to 3GB of memory, a 250GB hard drive and integrated Acer Crystal Eye webcam enables high-resolution video chats and the sharing of still photos. It contains Firewire (1394) port, letting the user to connect many digital camcorders and other equipment to rapidly upload data to the notebook hard drive. 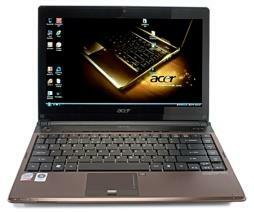 If you are looking for available drivers or software related to your Acer Aspire 3935 laptop. The following software and drivers are compatible with your Acer Aspire 3935 and Microsoft Windows 7 64-bit. If you come across any Acer Aspire 3935 Drivers download issues, please ask for help in the comments section below.